your Laptop/Desktop to the Monitor/Projector with VGA output. 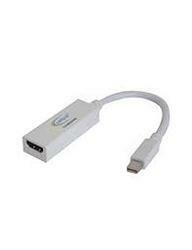 • Converts a graphics card's DisplayPort output to a HDMI output for use with a HDMI monitor. • 8.0 in (20.0 cm) approximate lenght. • Latching DP connector for a secure connection. 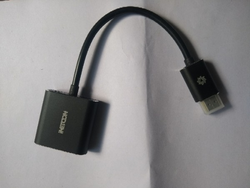 - THIS IS A UNIDIRECTIONAL DEVICE, IT WORKS FROM HDMI TO VGA, NOT IN REVERSE. IT MEANS YOUR SOURCE SHOULD BE HDMI AND DESTINATION SHOULD BE VGA.